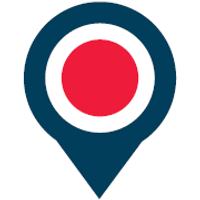 Ahead of OnTheMarket (LON:OTMP) financial year end on 31 January, we update our forecasts to reflect the actual allocation of agent recruitment shares: we reduce the average shares in issue for FY19E by 15% and for FY20 by 12%. By January 2020 we expect full allocation of recruitment shares to agents signing long-term contracts to be complete. In 2018 OTM’s network increased from 5,500 offices to over 12,000: now >63% of the total market and in our judgement >80% of the high-quality offices. Management has over 35m shares to deploy to high quality agents in return for long-term listing agreements. The quality of the relationships is evident by the comments in the testimonials (see pages 18 to 25). Material growth in brand value, determined by google ranking and quality leads is being driven by increased marketing spend. Conversion of 5,000 first-year-free, “FYF”, at an indicative tariff is £21m of additional revenue annualised. OTM indicative tariff of £350/month might compare to Rightmove average ARPA of £1,000/month+ for smaller agents. Monthly breakeven reached with 10,000 paying offices (e.g. with the conversion of c5,000 FYF), which we expect to occur in late 2019. Potential to win large Corporates & Hybrid Agents, which will expect long-term and low-tariff contracts but which provide listing content. OTM offers the fragmented estate agent industry (c. £5bn of revenues) exceptional value, with pricing materially and structurally lower than Rightmove. Equity value/office. In our opinion equity market value per office is a useful indicator. At 83p a share OnTheMarket has over 12,000 offices and is trading on an equity market cap of £51m (i.e. only £4.25k/office; Rightmove is trading on £230k/office), which does not reflect the value of these relationships which we estimate to be more than £20k/office. The allocation of over 35m shares to agents should secure long-term agreements with high quality agents.